A uniform creates a professional statement. It is a sign of trustfulness and expertise in business. It can even help grab potential customers and impress the ones you already have. 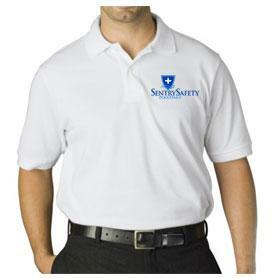 This traditional embroidered polo coordinates well with khakis or jeans. To order, select your size option from the drop down menu above. Custom design will be quoted per project and price breaks may be available with the purchase of a larger quantity contact us for details.